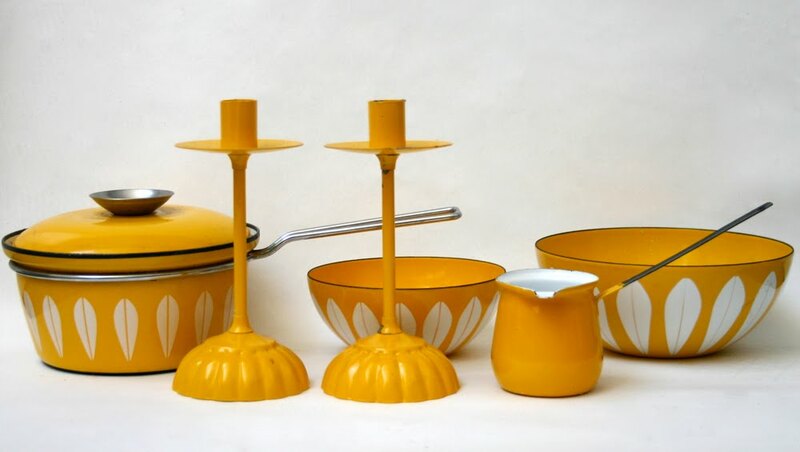 Vintage yellow mid-century enamelware (part of larger vintage kitchenware collection). what an amazing color. love these!! we had these! i had forgotten about the butter melter. do they still make them, i wonder? I like seeing the collections, but want to see how they are displayed in a home setting - what to with all our stuff!!! These are from the late 1960's to early 70's. I have my mother's green set in the same pattern. If you can find the casseroles that match this set, they are great.